The Tisbe Biminiensis commonly referred to as "Tisbe Pods" is our most popular copepod. The versatility these pods provide are second to none. 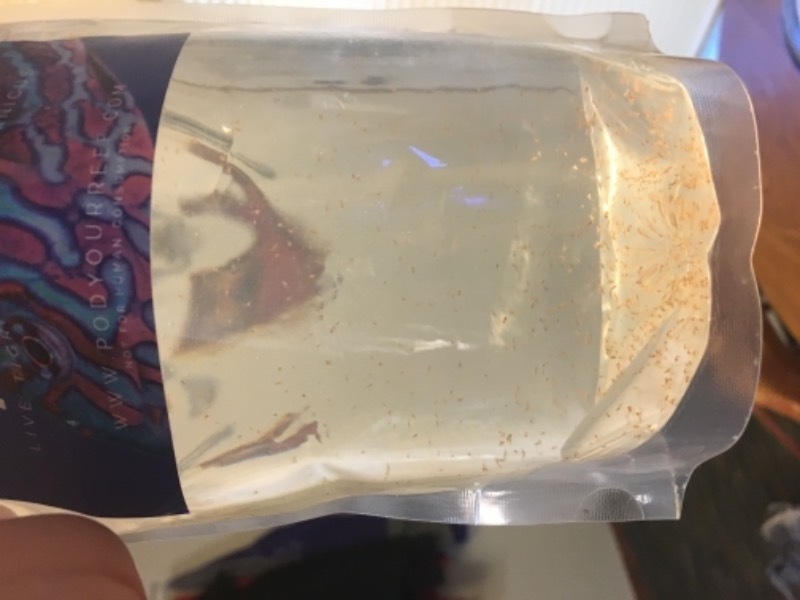 When looking for a "pod" for your mandarin, scooter blenny, or any other copepod eating fish, this is typically what you're looking for. Included life Stage: Egg, nauplii, copepodites, egg bearing females. Diet Advantage: Excellent source of highly unsaturated fatty acids (HUFA), high in n-3 fatty acids. Reef Advantage: High fertility, short gestation period, high fecundity, resistant to parameter swings, consumes detritus. Tisbe Biminiensis species is great for dragonents (mandarins, scooters), pipefish, seahorses, and other marine animals with special feeding requirements. Thats how long it took for the tisbe pods to appear on the surfaces in my reef! Could not be happier! I was very impressed with how quickly my order was processed and delivered. Less than 48 hours, less than 40 honestly. 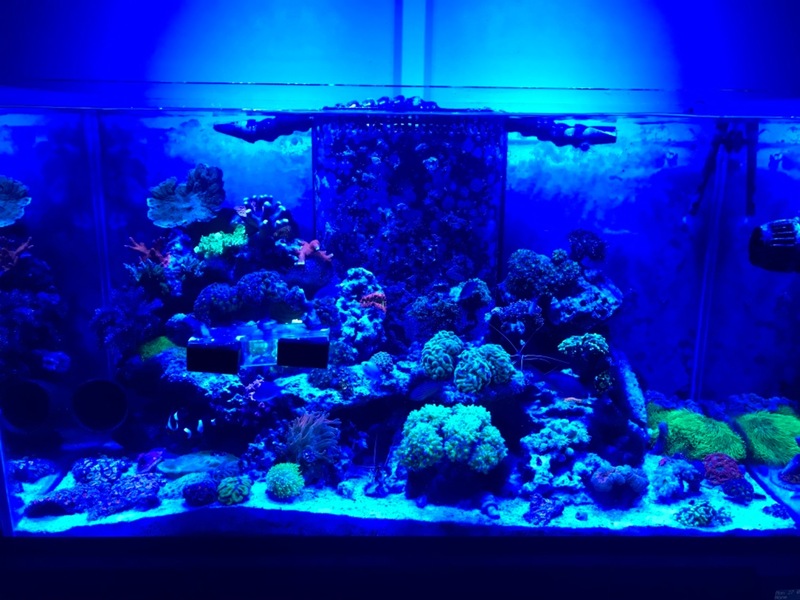 I was also very pleased with the pods, I know I could only see some of what was in there, and I could tell that were way more than those bottles my lfs sells. Will be ordering again in the future! Awesome company to work with..the subscription service keeps my scooters and mandarins fat and happy :-) I've gotten about 10 shipments of both kinds of pods offered. Every time the pouch comes visually packed full of pods..all alive as well.. unlike a few eBay sellers I've gone through in the past.. I always add new water to the pouch..and drop in a few nori flakes.. and within a week.. the pouch is packed full of pods again.. Anyways.. great vendor.. I will continue spreading my great experiences with them via word of mouth on saltwater forums and Facebook pages.. 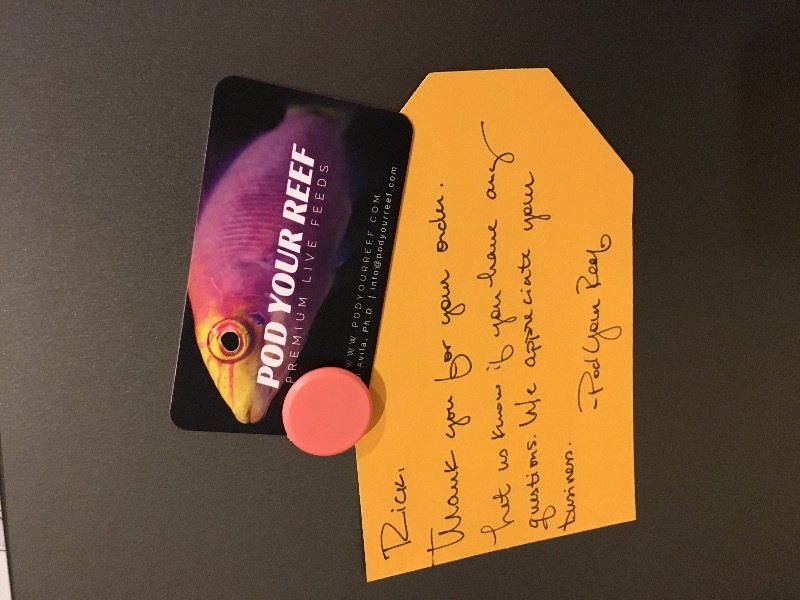 If your reading this and on the fence about ordering.. deffenatly go for it.. great products and great customer service.. And a thank you note/sticker/and little candy fishie!!! Love the way I can sign up for a monthly subscription. I got my first order in the mail and was very pleased with the quality, packaging, and service. 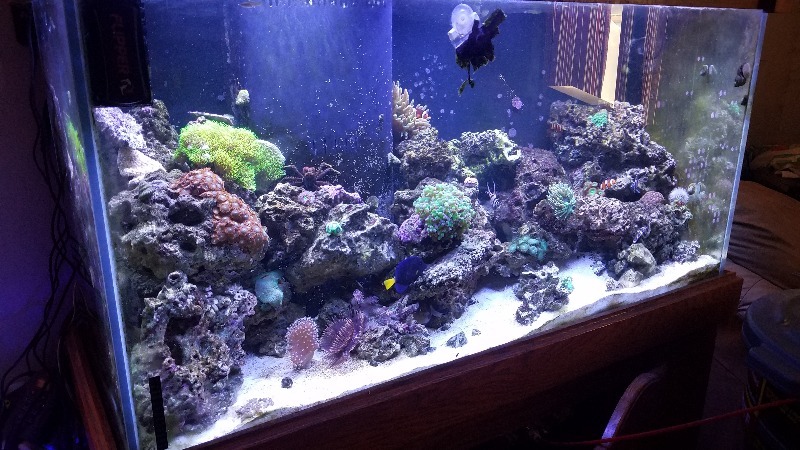 Will definitely be using Pod Your Reef more often.